South Lakeland is situated in the south of Cumbria and encompasses a vast section of the beautiful southern Lake District, one of Britain’s most spectacular and most visited tourism destinations. 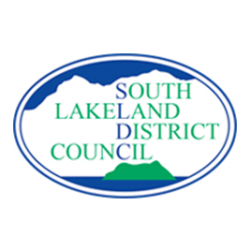 South Lakeland District Council or SLDC was formed after local government reorganisation in 1974 and its vision is to make the district the best place to live, work and visit. The council’s headquarters are situated in the attractive market town of Kendal on the banks of the River Kent and on the doorstep of not one but two glorious national parks, the Lake District National Park and the Yorkshire Dales. The Liberal Democrat-controlled authority also has offices in the bustling market town of Ulverston, which is on the fringe of the scenic Cumbrian coastline, and the vast Morecambe Bay. South Lakeland itself covers a total area of 600 square miles of pretty villages, lakes, rivers, mountains, and includes some of Cumbria’s most attractive towns like Arnside, Bowness-on-Windermere, Broughton-in-Furness, Windermere, Coniston, Ambleside, Grange-over-Sands, Kirkby Lonsdale and Sedbergh. As a popular tourism area it attracts in the region of eight million visitors a year wanting to enjoy the Lake District for outdoor pursuits like walking, cycling, climbing, sailing and canoeing as well as being home to many well established restaurants, shops, country pubs, cinemas and some of England’s leading tourist attractions, hotels, B&Bs and self catering cottages. South Lakeland District Council employs around 420 people and the district itself has a population of 103,700, which is boosted during the tourism season by domestic and international visitors.